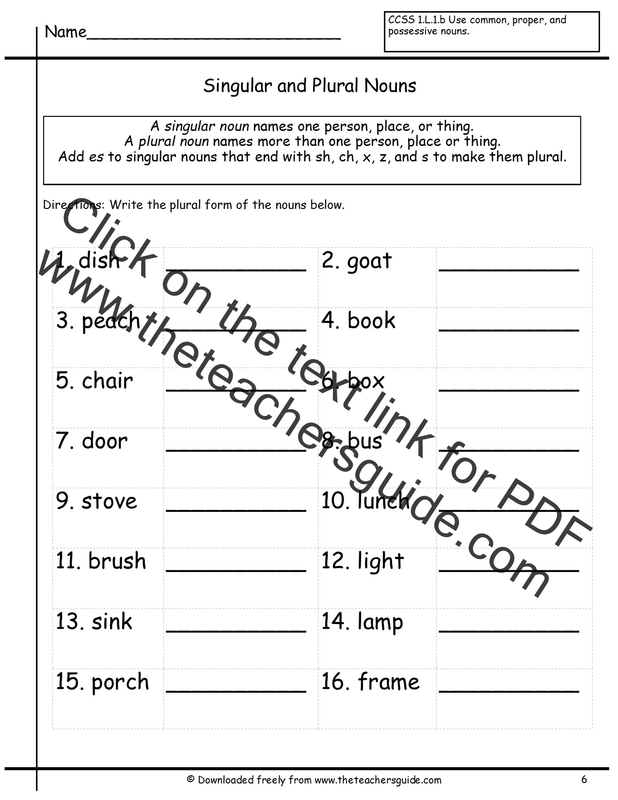 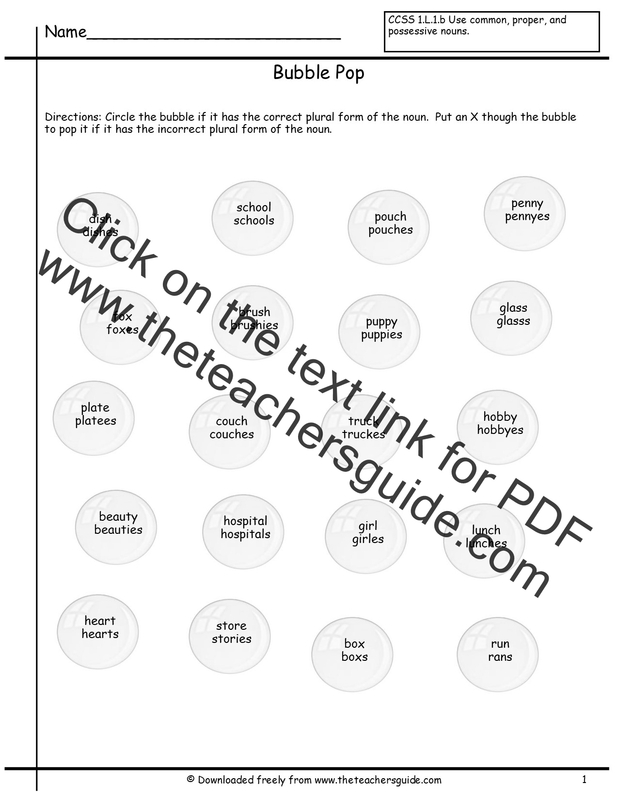 Students determine if nouns are singular or plural. 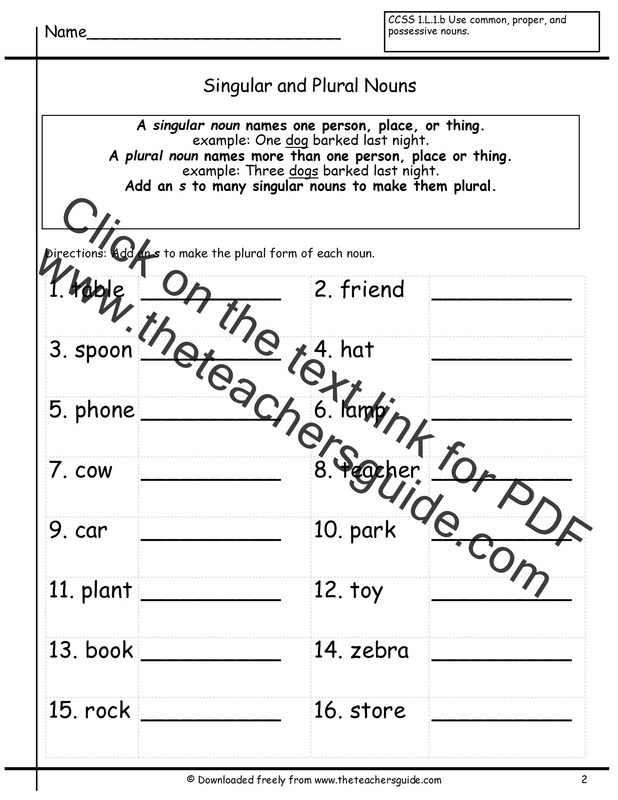 Students write plural form of singular nouns by adding "s". 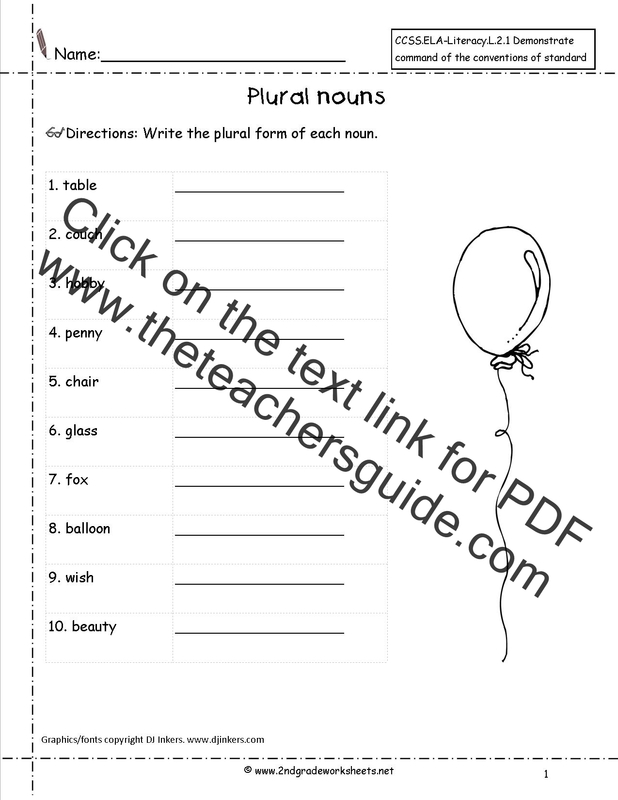 Students change singular nouns to plural by adding "s" and rewrite sentences to match. 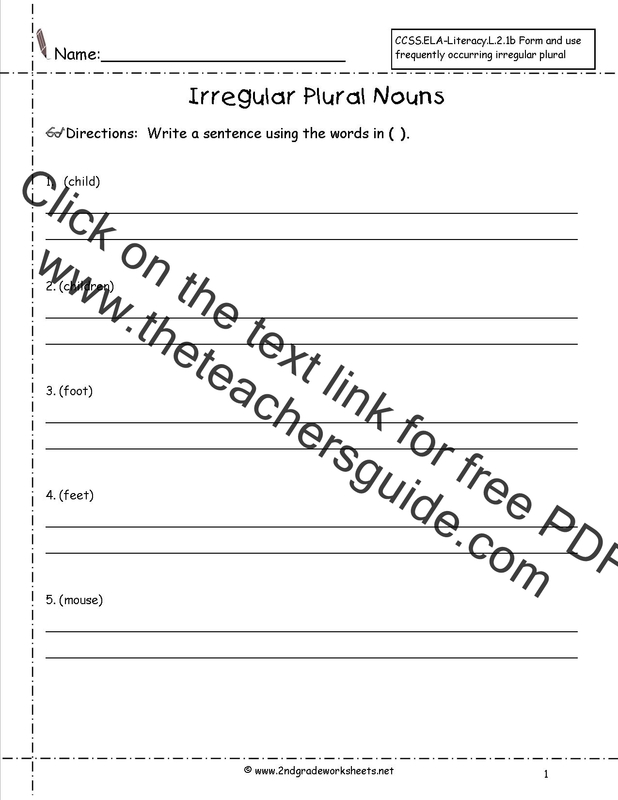 Students write plural form of singular nouns by adding "es". 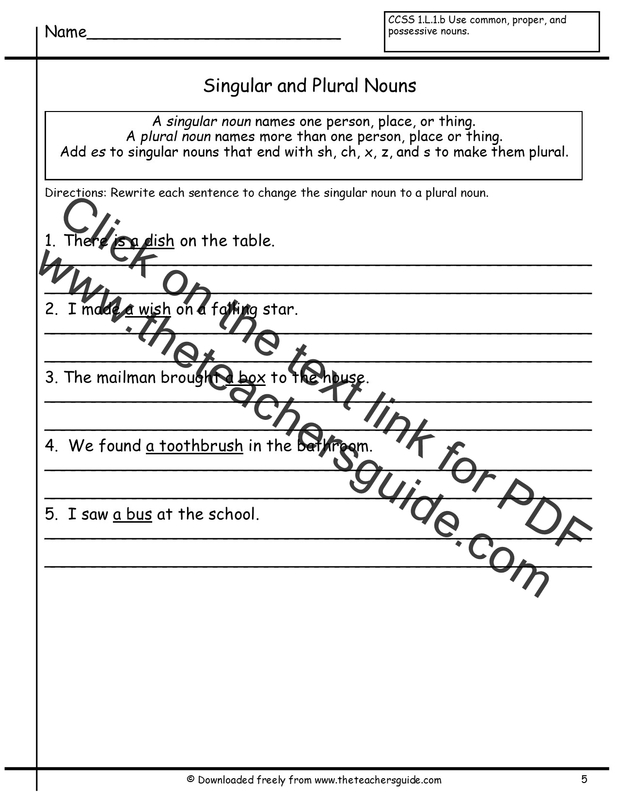 Students change singular nouns to plural by adding "es" and rewrite sentences to match. 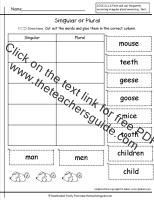 Students write plural form of singular nouns by adding "s" or "es". 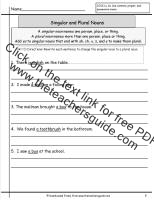 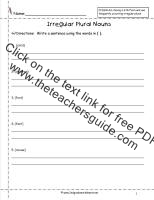 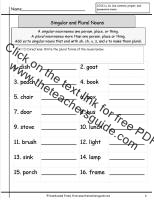 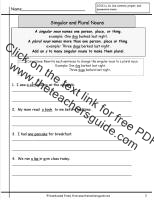 Students write plural form of singular nouns by adding "s" or "es" or "ies". 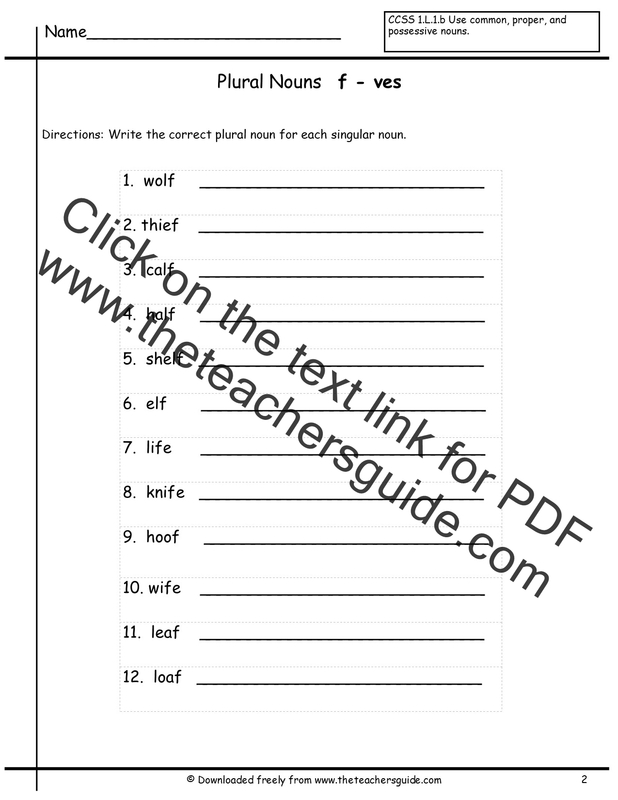 Students determine if plural nouns are written correctly. 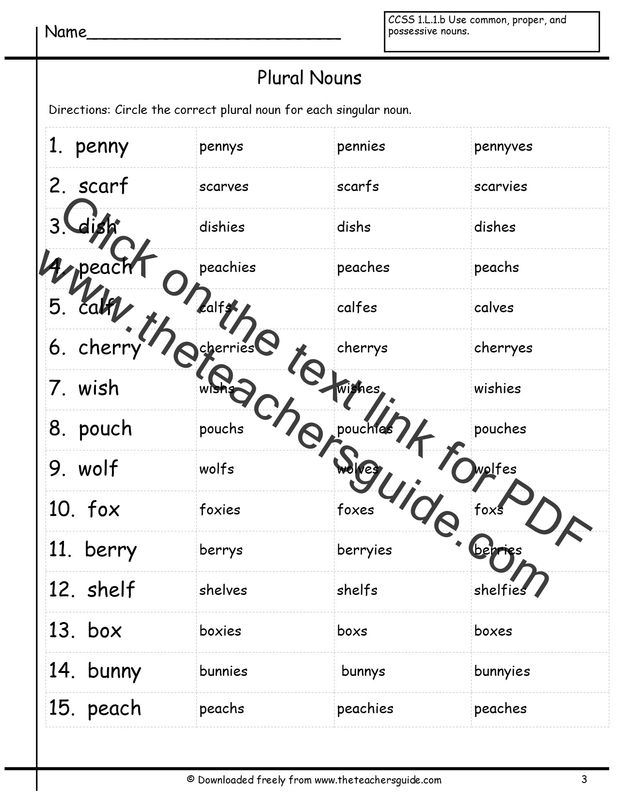 Students pick the correct form of the plural noun. 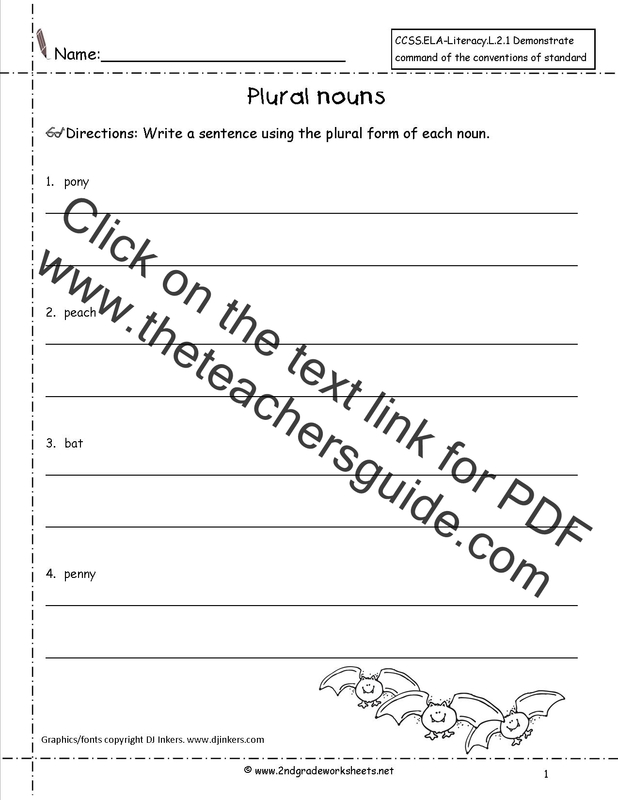 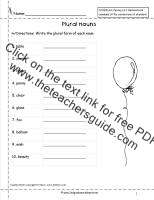 Students write the correct plural form of the noun. 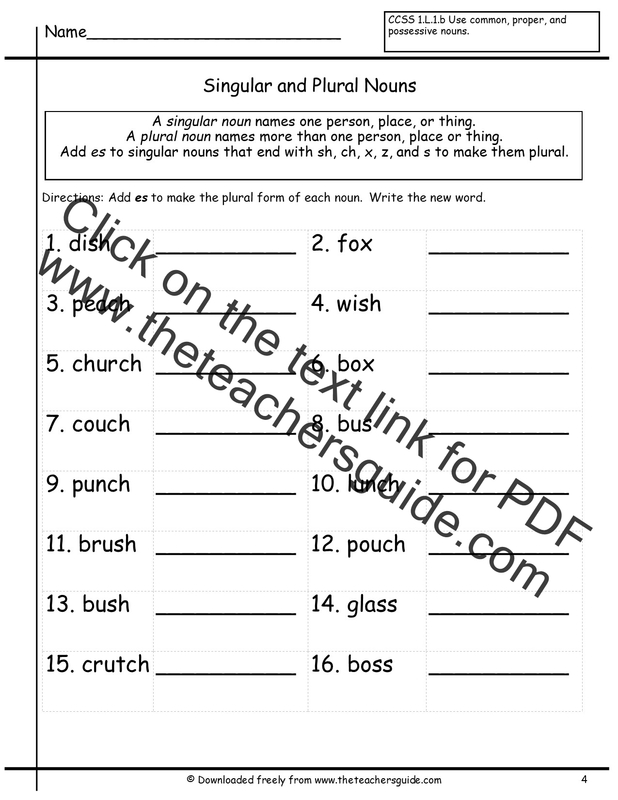 Students select the correct plural form of the noun. 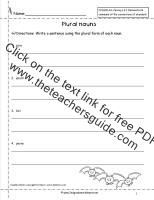 Students write sentences with irrgular plural nouns.